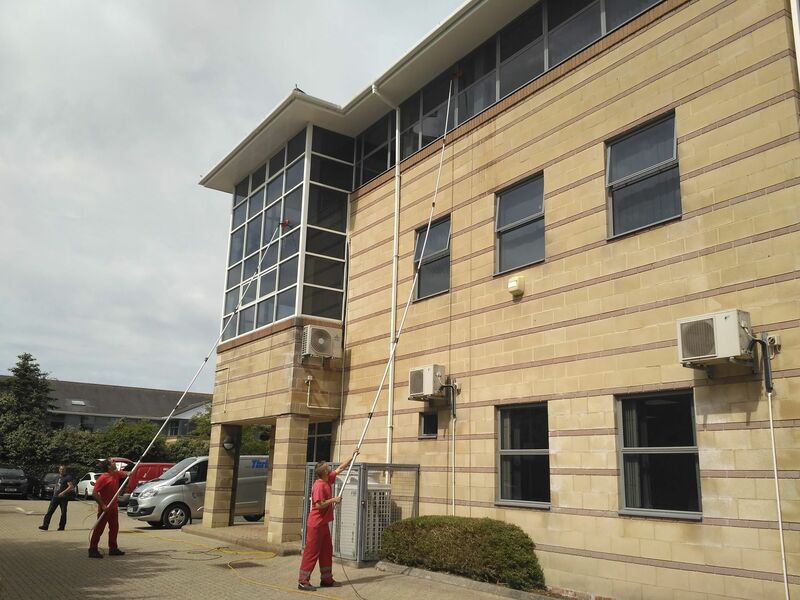 Established in 2007 and based in Locking, we offer a high standard of professional window cleaning services for a whole range of premises. We work with the latest water-fed pole cleaning equipment which is both safe and environmentally friendly. Moreover we are fully insured to work on your premises. 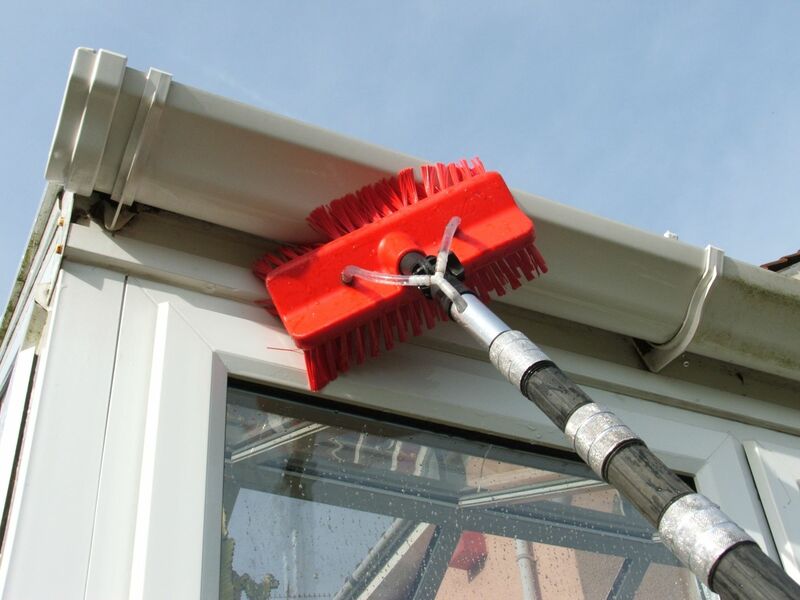 All our customers can expect exceptional standards of professionalism carried out in the safest, most efficient methods in the window cleaning industry. Reach & wash Pure water is rarely found in nature due to the fact that water, by its nature, tends to absorb minerals. It is this mineral content that leaves behind the spotting and "watermarks" so often seen when glass is cleaned and left to air-dry. When water is pure, with no mineral content, dust and dirt particles commonly found on glass are easily absorbed and rinsed away. This means that no mineral residue is left behind and, as the water evaporates, windows are left clean and streak-free. 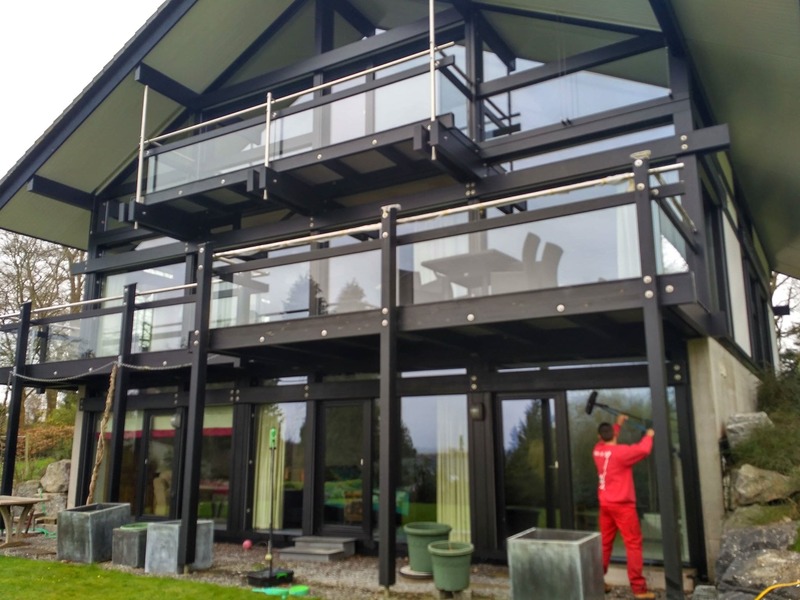 A water fed pole system works by pumping pure water through a carbon fibre pole on to the glass which is scrubbed and left to dry to produce a spotless finish up to a height of 60 feet. Some traditional methods of window cleaning use detergents that leave a residue on glass which allows dirt to stick to it. With pure water this residue is eliminated so glass stays cleaner longer. 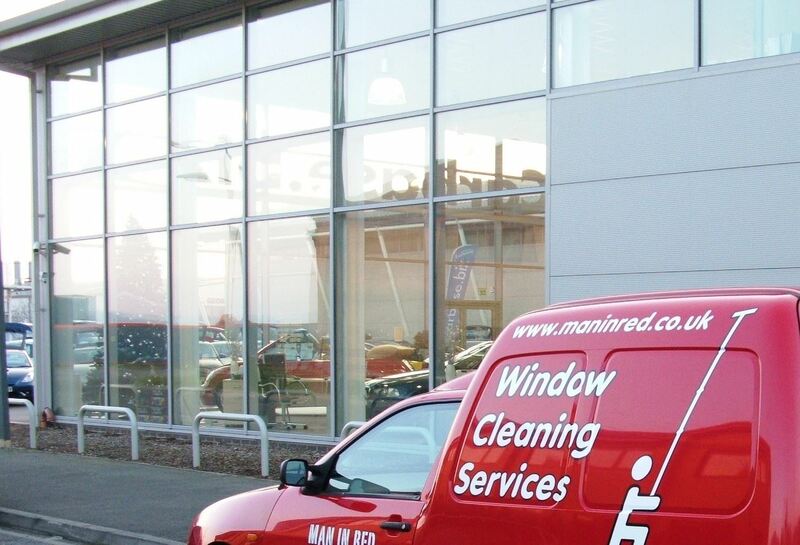 MAN IN RED Window Cleaning Services ensure that health and safety is a major priority at all times. This ensures that safe working practices are carried out at all times. We are fully covered by insurance that is designed to protect you and your property whilst work is carried out. In order to keep up to date with current legislation and trends we are proud to be accredited members of The British Window Cleaning Academy (BWCA) If you have any questions please do not hesitate to contact us. Our prices start from £ 25, however there are so many different types of properties and buildings; it would be difficult to give you an accurate price without visiting the property first. We have to consider the size of area to be cleaned, access difficulties and what level of cleaning is required. Once we have visited you and seen the property to be cleaned, we will be happy to quote you a fixed price. For customers who require our service on a regular basis, we may be able to offer a reduction in price from our normal rates. Please contact to arrange free quotation. Also all of our work is unconditionally guaranteed. For a quote, either call us on 0800 612 2551 or complete a quotation request form here. We will not expect payment until you are completely satisfied. Copyright © 2019 Man in Red. All rights reserved.